So you have some money and an idea of how to invest in real estate, but there is one thing standing in your way. FEAR! It’s a small word but a very big emotion. You can damage your financial future if you let your investing fears keep you on the sidelines. Humans are special creatures. For the most part, we will do more to avoid pain than to seek pleasure. Many people don’t invest at all by hiding behind the popular adage “It’s not the right time.” Investing in real estate is all about the financials so you can find deals at any stage of the real estate cycle. Timing is not such a big issue. Procrastination will not bring you passive income. 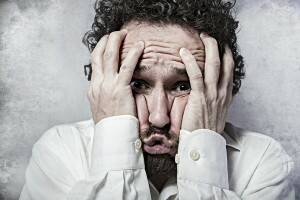 Another common apprehension for investors is the investing fears of losing all their money. No one wants to lose their shirt when it comes to investing. One way to avoid that is through diversification. Having a diversified portfolio allows you to spread out your money in multiple investments and help reduce the risk. Talk with your financial professionals to determine a portfolio strategy that works for you. Let me share a little secret with you. Before I started investing in real estate the main obstacle I faced was fear. I am by nature a risk adverse person and tend to focus more on the “but… what if” scenarios. Those three little words can paralyze you if you don’t learn to channel the pessimism. There is a simple solution to overcoming investing fears. Education, education, education! Learn about the people with whom you will be investing. Learn about the property you are considering lending against, and understand its financials. There’s nothing wrong with questioning things. It’s actually important in your analysis and due diligence. You certainly don’t want to walk blindly into any investment. On the flip side, you don’t want the “what ifs” to overwhelm you and prevent you from taking action and losing out on a potential opportunity. When you do your research you will see that unlike the stock market real state historically has a proven track record of steadily appreciating. As a lender you also receive security in the deal which is another advantage. There are risks in every investment. Anyone who tells you otherwise is not being truthful so do your homework! Get educated and your investing fears will diminish. We have established many unique elements to help secure your investment and we can walk you through our process so you can make an informed decision about whether or not being a private lender is right for you. Do yourself a favor and don’t let fear of the unknown stop you from reaching your financial goals.Real estate is a great wealth builder. It would be a shame if you weren’t able to benefit from it on account of a four letter word. If you want to know more about how to invest in real estate, or how it it can benefit YOU, Contact us.